Through its CARE@hkjc Volunteer Team, the Club encourages staff and retirees to become directly involved in enhancing the quality of life of all Hong Kong people. To be a reputable volunteer team actively serving those in need and providing a platform for the whole-person development of Club staff. To support the Club’s charitable mission and to help fulfil its corporate social responsibility by encouraging staff to participate in voluntary work, whilst at the same time building teamwork and strong networks among Club staff. All full-time, part-time and retired Club staff are welcome to join the volunteer team. Volunteers receive training, with the aim of enhancing their skills and building a strong team dedicated to serving the community. Currently, the Volunteer Team has over 1,200 members. Since its establishment in November 2005, they have been spreading love and care to Hong Kong’s most needy. The Volunteer Team serves various groups including the elderly, the young and ethnic minorities. Its programmes are delivered through district-based activities across different parts of Hong Kong, many of them in partnership with local organisations. Aiming to establish a harmonious society, the Team hopes to inspire its service recipients to become volunteers themselves, thereby helping to reach out to even more people in need. 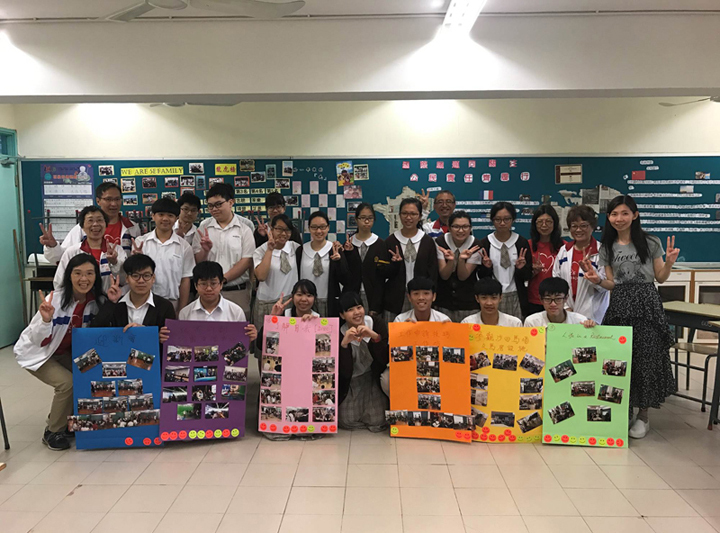 CARE volunteers joined hands with their intellectual disabilities (ID) buddies of Fu Hong Society “Best Buddies Hong Kong” Movement to pay visit to an elderly centre on 21st October, with an aim to bringing joy and care to the elders and promoting society inclusion.